Cultured ingredients offer a more accessible and sustainable way to produce an array of important products across industries. With our landmark partnership with Cronos Group, we are working to produce cultured cannabinoids at high quality and purity. Cannabis is a rapidly growing industry, predicted to reach $57 billion worldwide by 2027. The cannabis plant produces hundreds of different cannabinoids which have the potential to be valuable in a range of pharmaceutical applications. The most common of these cannabinoids are THC(A) and CBD(A), but other molecules such as CBC, CBG, and THCV are present only in minute quantities, meaning that they are impractical to extract and purify from the plant. 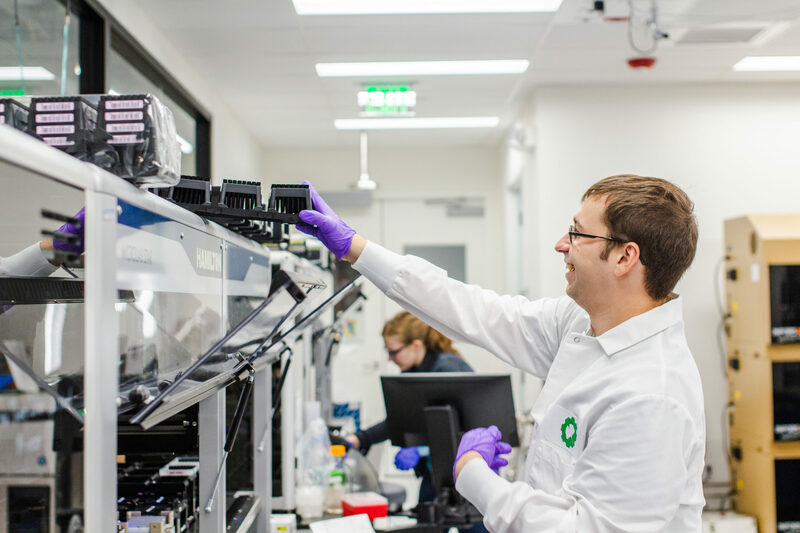 By transferring the DNA sequences for cannabinoid production into yeast and using the foundry and our existing high-throughput fermentation processes, Ginkgo is working to construct strains that produce these cannabinoids at high quality and purity. The cultured cannabinoids are identical to those extracted from the plant with traditional methods. By capitalizing on the power of biological manufacturing, we can unlock access to medically important cannabinoids that can be scaled up and produced reliably. Cronos Group, a vertically integrated cannabis company, has gathered extensive data on cannabinoids and their properties to generate the best recipes for the full spectrum of cannabinoids. We’re thrilled to be working with Cronos as they build the world’s most innovative cannabinoid platform. Plants like cannabis hold many unique compounds that can have important health benefits. With synthetic biology and fermentation, those rare products can be made accessible at a commercial scale.